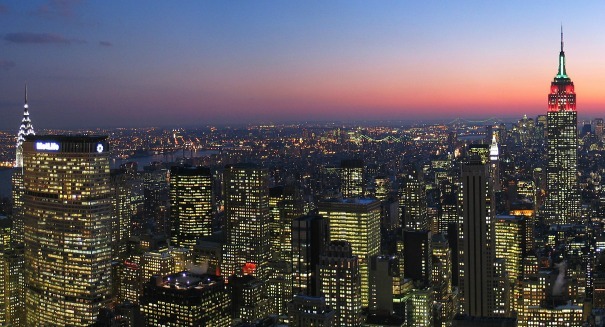 A shocking new study reveals the biggest threat to life in NYC, and it could happen to anyone. Scientists warn that global warming will have a myriad of unforeseen and secondary effects on life around the globe in the coming century. They’re right – from sea-level rise to mass species migration, climate change will undoubtedly create noticeable differences in the ecosystems of the world. But what about the obvious problem? While often overlooked when talking about climate change, the rising average temperature will begin to exacerbate the problem of heat stroke. According to a report from Scientific American, researchers from Columbia University warn that heat-related deaths in New York City are expected to reach into the thousands by 2080. The study took New York’s constantly changing demographics into account, which many other researchers fail to do. Controlling for the progression of vulnerable segments of the population including children and the elderly over time, as well as for other variables like view cooling infrastructure that would increase climate resilience, the study paints a more accurate picture of how climate change can be expected to affect the city over the coming century. The results of the study’s model are chilling. Scientists found that under a scenario where greenhouse gas emissions were allowed to continue with no effort to curb them, 3,331 people were likely to die from heat exposure by the 2080s. Of course, the city has plenty of time until then to adopt a strategy of reducing emissions and preparing to deal with higher temperatures in the coming decades. The article, published in the journal Environmental Health Perspectives, can be found here.